Mathematicians will find accounts of every extant Greek mathematical book and many proofs translated directly from ancient texts. 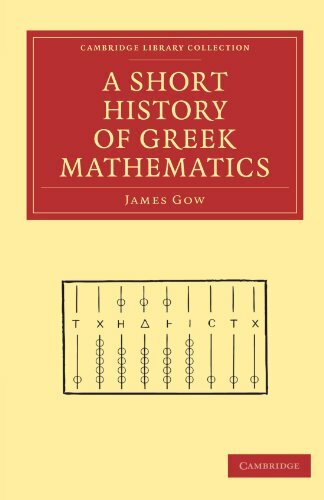 Students and Greek scholars will encounter a chronicle of the development of mathematical science, including the decimal scale; Egyptian and Greek arithmetic; the Greek theory of numbers; Greek geometry; Egyptian geometry; and the works of Euclid, Archimedes, and their successors. This is an outline of the prominent movements in mathematics, presenting a few of the leading names, and calling attention to some of the bibliography of the subject. In these pages the term Mathematics will be limited to the domain of pure science. This is the classic resource on the history of mathematics providing a deeper understanding of the subject and how it has impacted our culture. From the early Greek influences to the middle ages and the renaissance to the end of the 19th-century.